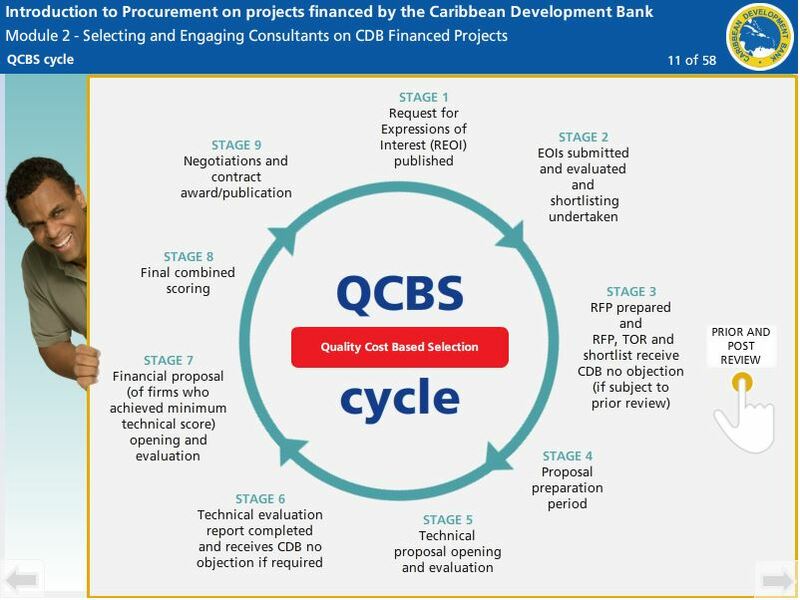 The CDB finances a wide range of projects that seek to support the socio-economic development objectives of its borrowing member countries and the region. 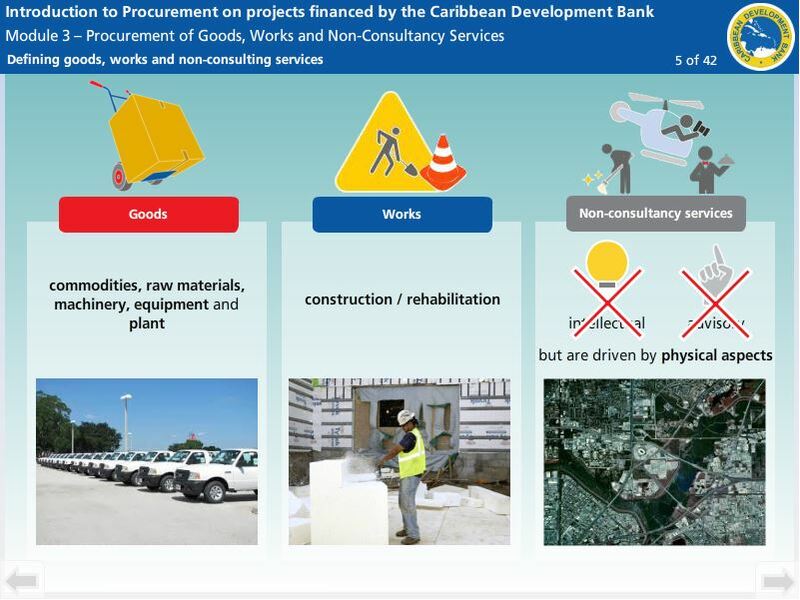 Annually these projects award contracts with a value approximating USD 50 million. 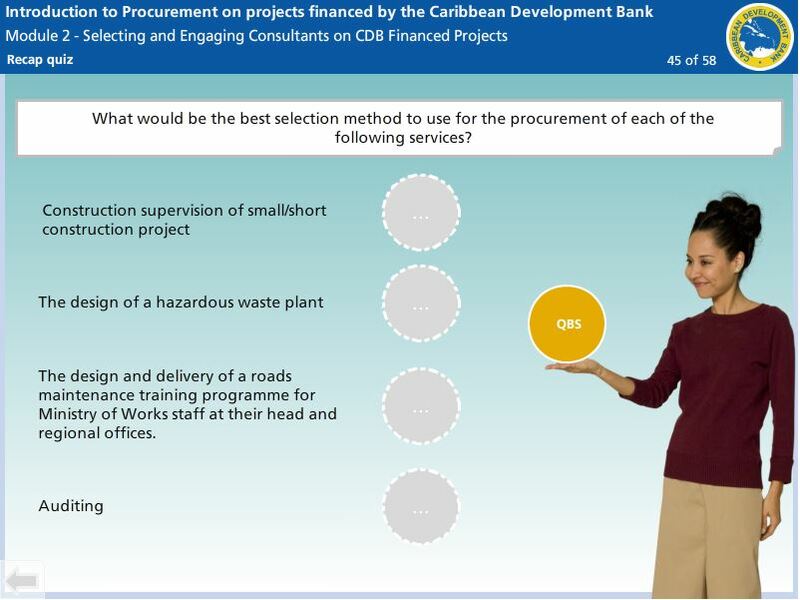 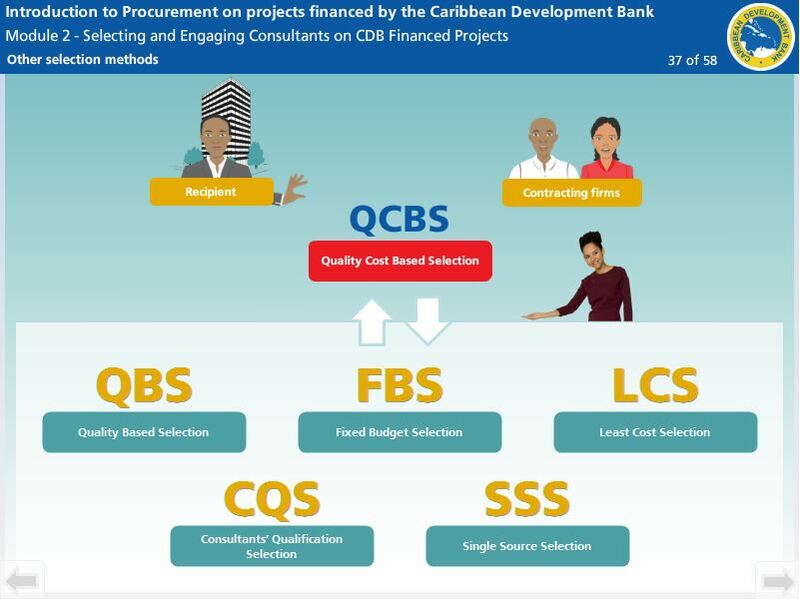 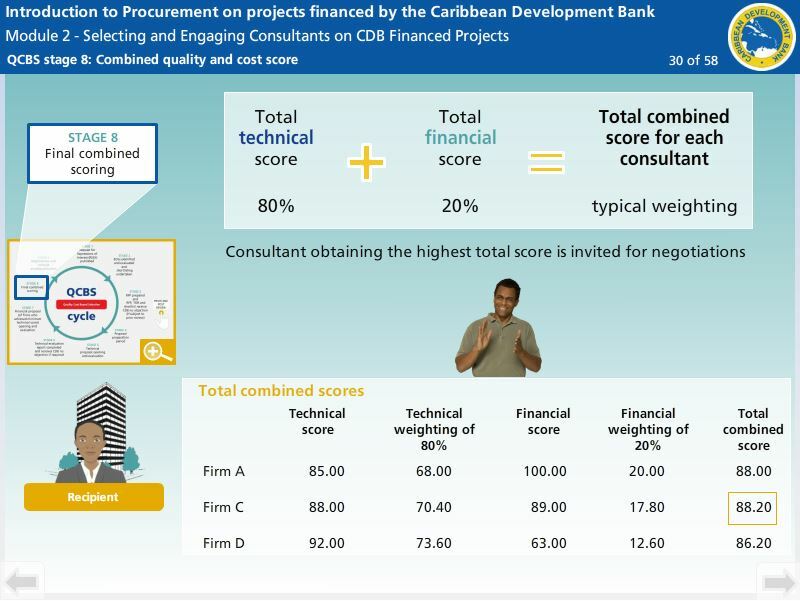 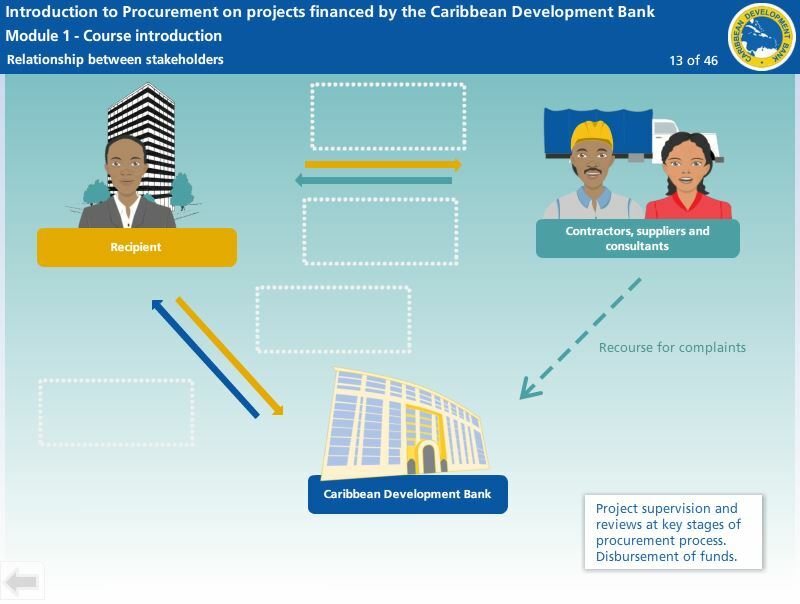 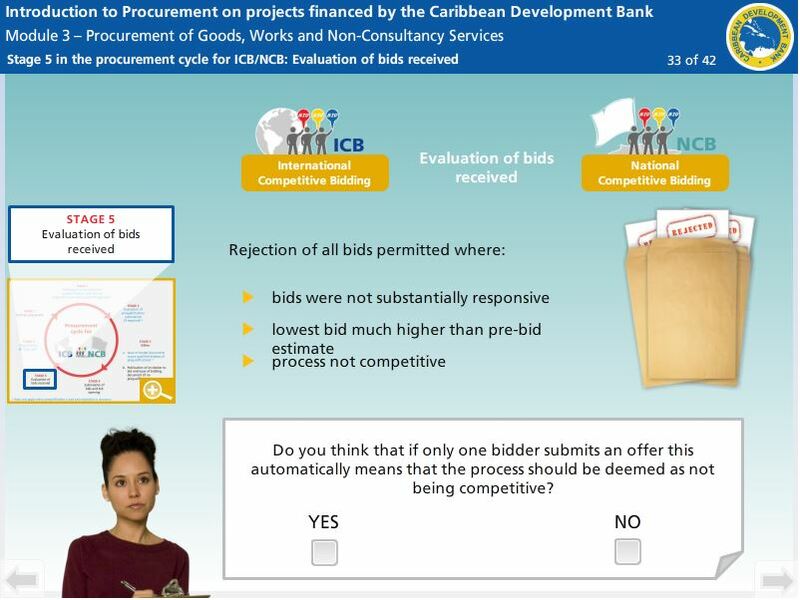 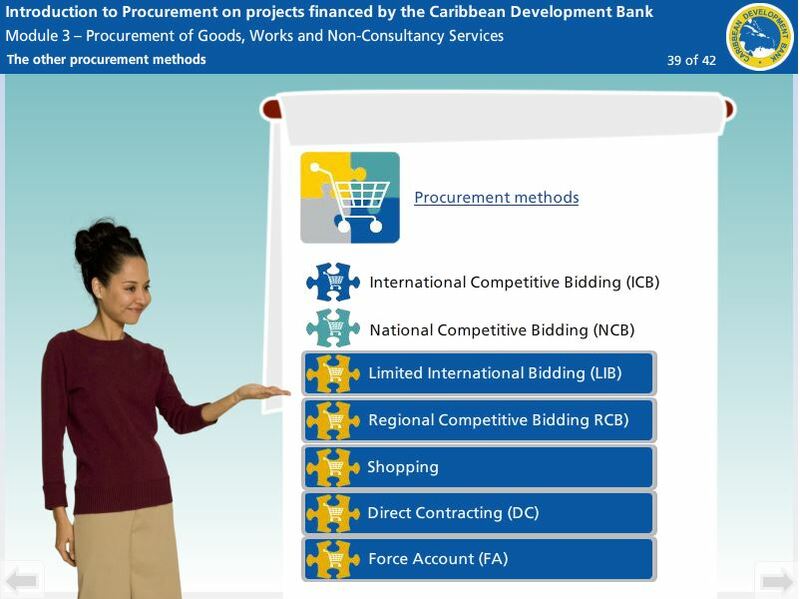 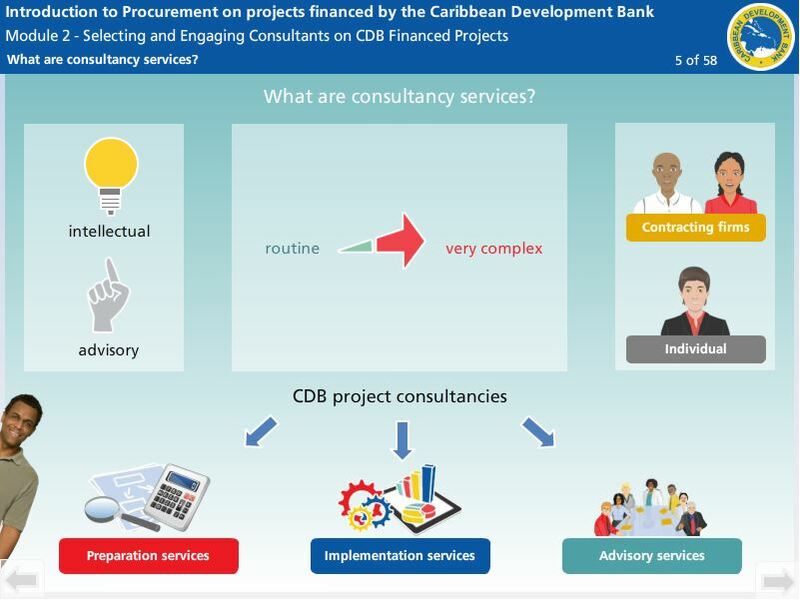 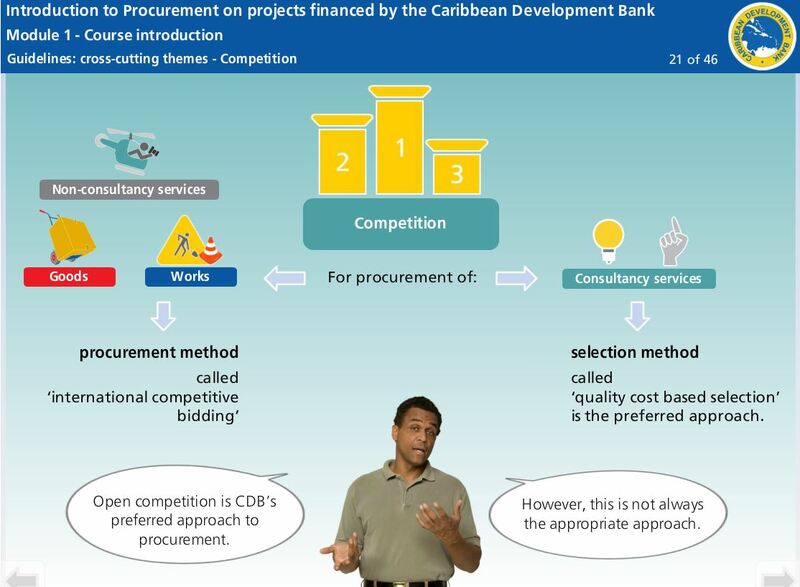 CDB trains the staff of hundreds of executing agencies across the Caribbean to ensure they are equipped with the necessary skills to carry out their procurement in accordance with the Bank’s procurement guidelines. 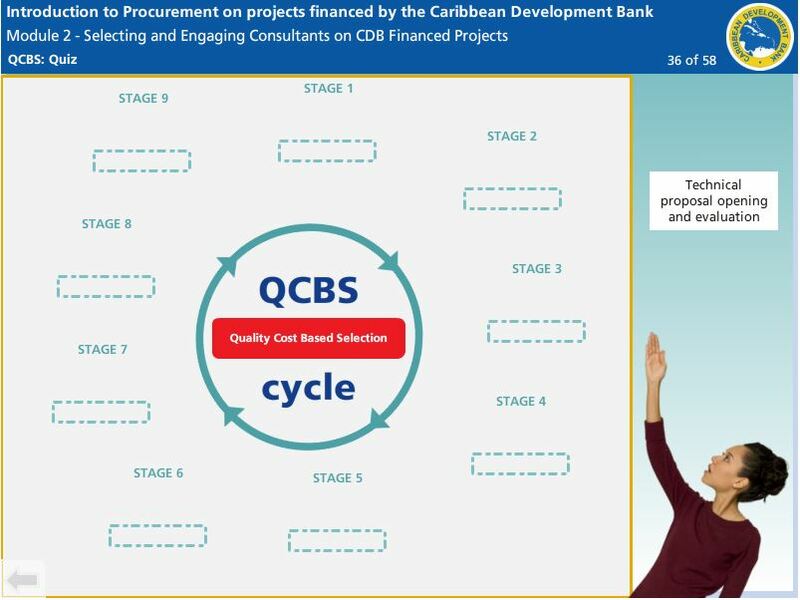 In order to do this more efficiently and reach a much wider target group, DynaMind eLearning has been supporting CDB with Moodle hosting and Articulate developments since 2015. 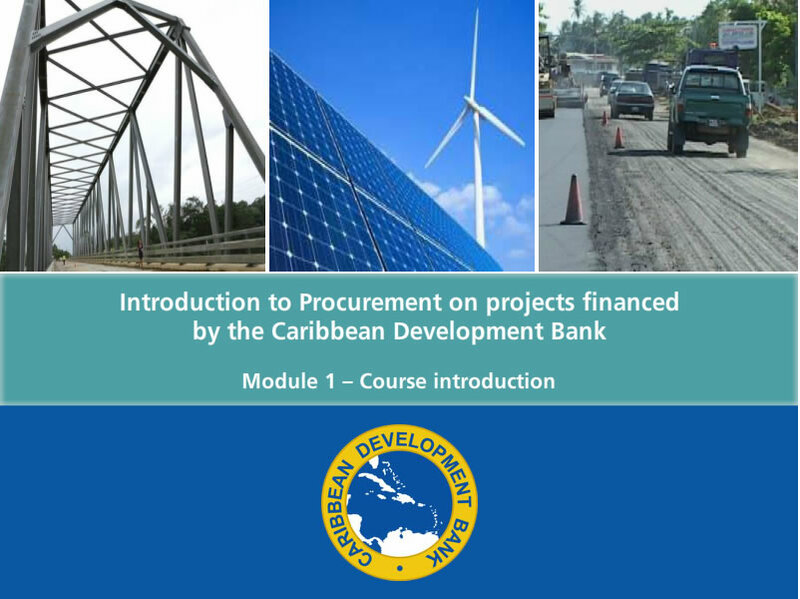 Guided by a CDB procurement expert we have developed 3 Articulate modules (total 4.5 hours learning time) which cover the complex procedures in a very accessible manner. 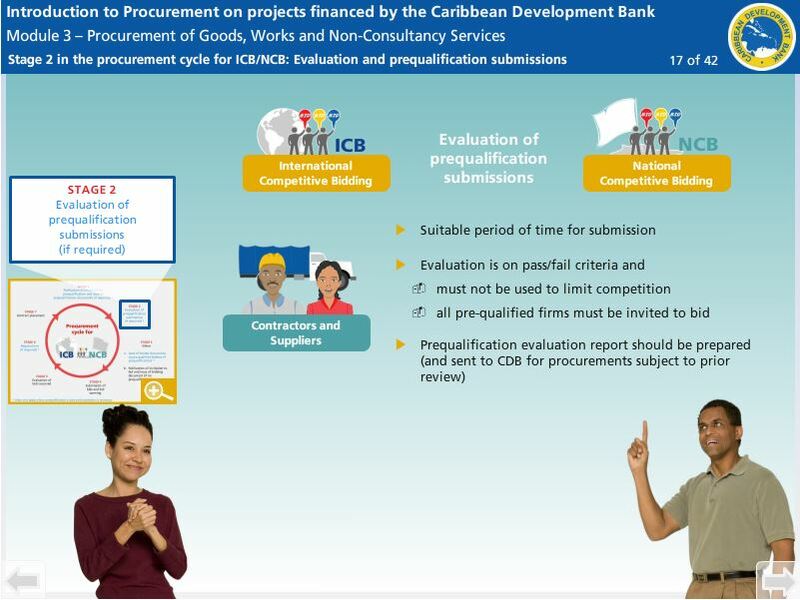 Developing procurement training is always a challenge, because the ins-and-outs of this topic are very legalistic and… boring. 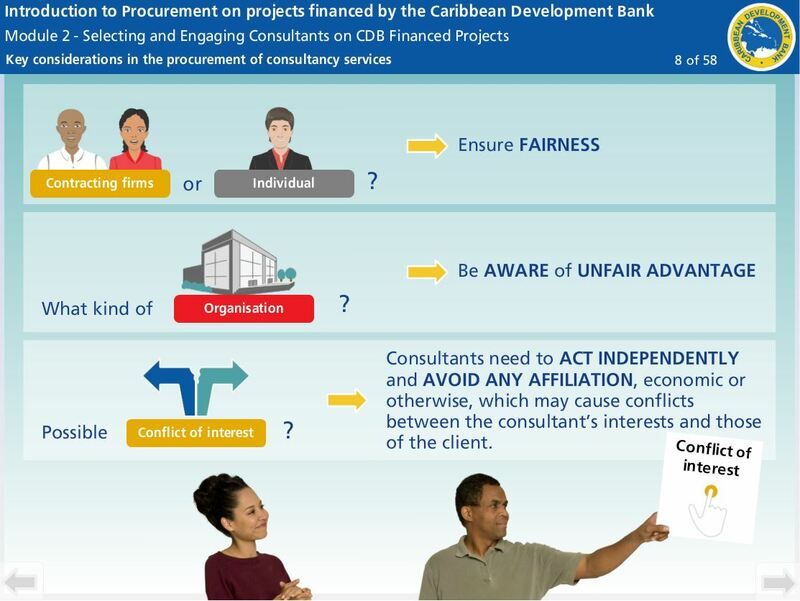 Information tends to go over people’s heads because it sounds abstract. 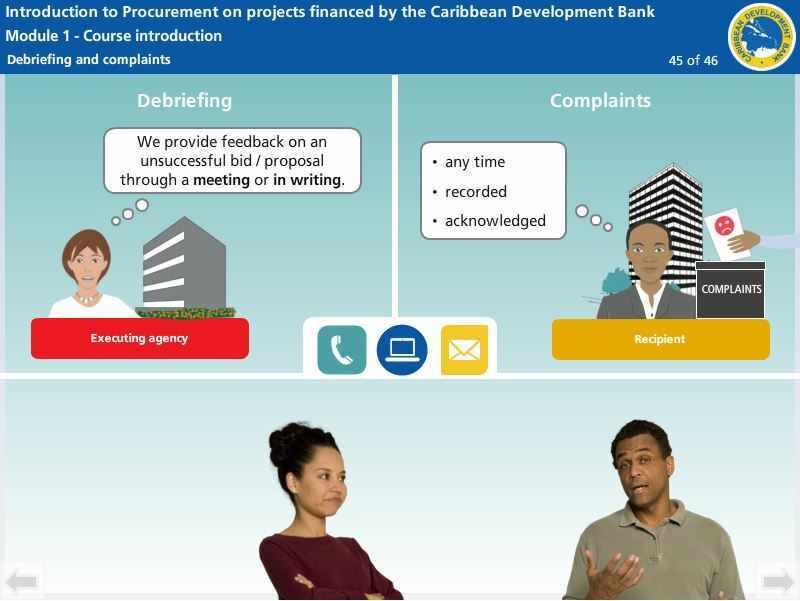 To ensure we engaged the learner, we made sure we included interesting interactions. 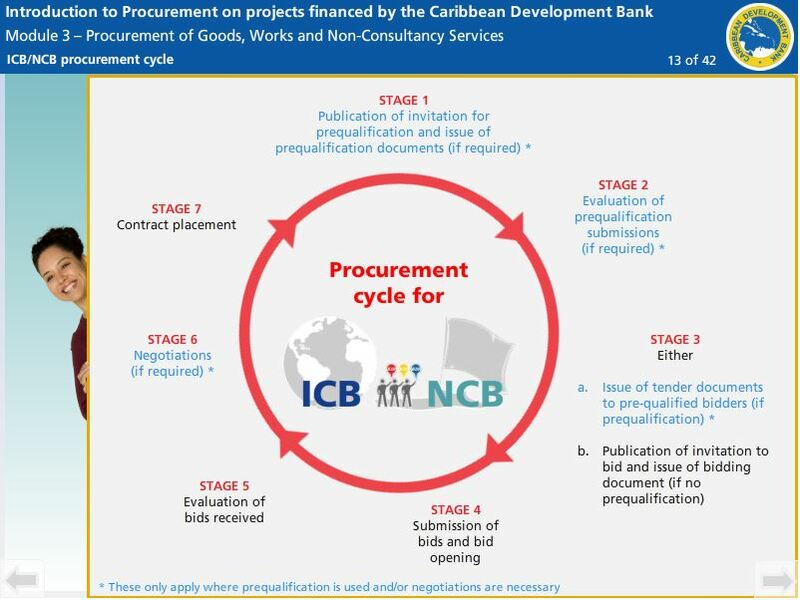 We also broke it down in very clear mini-steps, while simplifying the language and using two great voice-over artists to narrate the process as well as the many examples.